OKRA, TOMATOES, AND CUKES! OH MY! We’ve been growing okra every summer since we moved to Nashville. 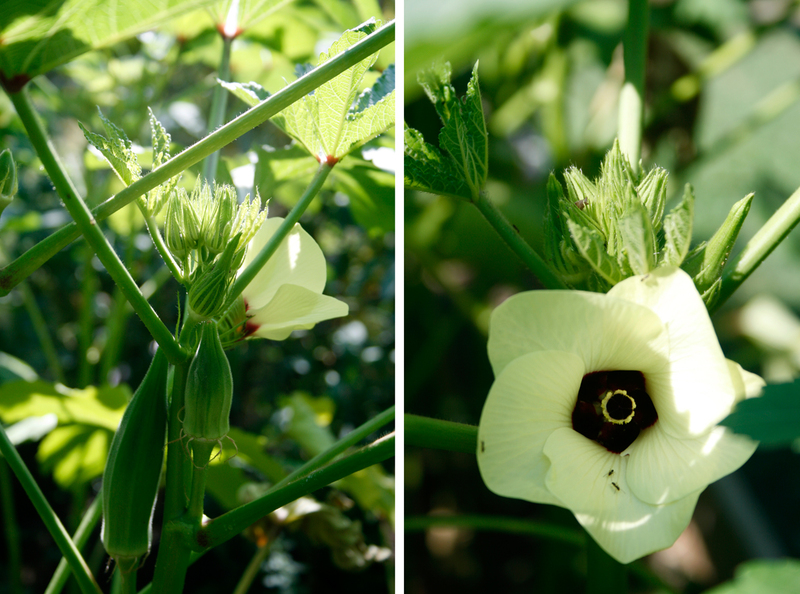 Okra loves the heat which is why it was impossible to grow it up in the Pacific NW when we lived there. Okra is great for sauteing up with tomatoes and corn or cooking it into some gumbo. 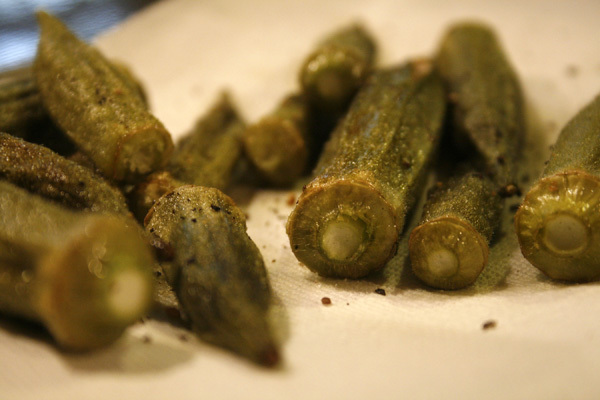 Our two favorite ways to prepare okra have become pickling it and roasting it which is about as simple as you can get. Roasting it takes away the sometimes unpleasant slimey texture which can be present. It also brings out a great almost nutty and corn flavor. And, it is incredibly easy. All you do it wash it, dry it, lay it out in a roasting dish, sprinkle with a little olive oil, salt and pepper, and then roast it up. I usually roast it at 400 for about 15-20 minutes. It makes a great side dish to just about everything. Southern tomatoes are the best in the world and I honestly love them but about this time every summer, I start to feel a bit overwhelmed by them. We can’t eat the raw ones fast enough so I start roasting them up, too! I roast them with onions and fresh herbs and sometimes I add garlic or squash. Once roasted, you can throw them in a jar and in the fridge. I still haven’t started canning and I so admire all my friends who do. I promise I will soon. I used to fear it but now I think I’m just lazy. We use roasted tomatoes all the time- in risotto, salads, egg dishes, on sandwiches… the possibilities are endless. To make the easiest pasta sauce in the world I just puree the roasted tomatoes and top with cheese. It makes a killer pizza sauce or lasagna, too! Summer Squash Risotto, Corn Crust Pizza, Veggie Lasagna- all made with roasted tomatoes! And, my third favorite summer veggie… cucumbers! My favorites are the Kirby pickling cukes. Since I was a child, we have always just had a bowl of them sliced with a little salt on the dinner table to accompany most summer meals. Grant and I will sometimes throw a splash of vinegar and some sliced onions in and then every once in awhile we get even fancier and make refrigerator pickles in which we slice the cukes and onions and place in a jar. 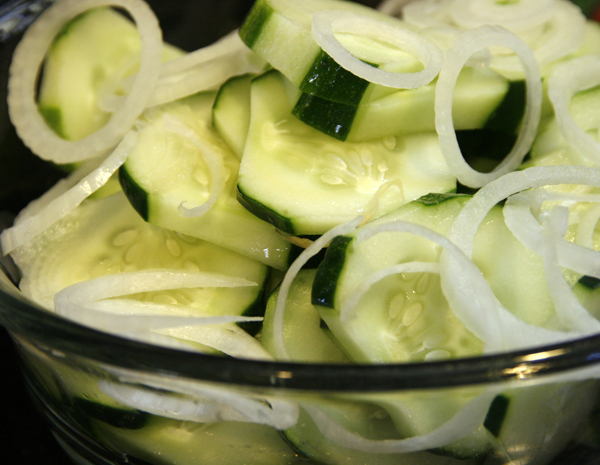 We boil some vinegar and water and throw in some dill, peppercorns, and garlic and then pour over the cukes. These last in the refrigerator for a few weeks. They make the perfect pre-dinner snack. These lemon cucumbers cut in wedges made pretty pickles! A favorite side to enjoy with all these summer veggies is always a pan of cornbread! We always have leftovers so often times we will toast a piece with cheese on it for breakfast. The other day, we came up with this Cornbread Strata which was delicious! 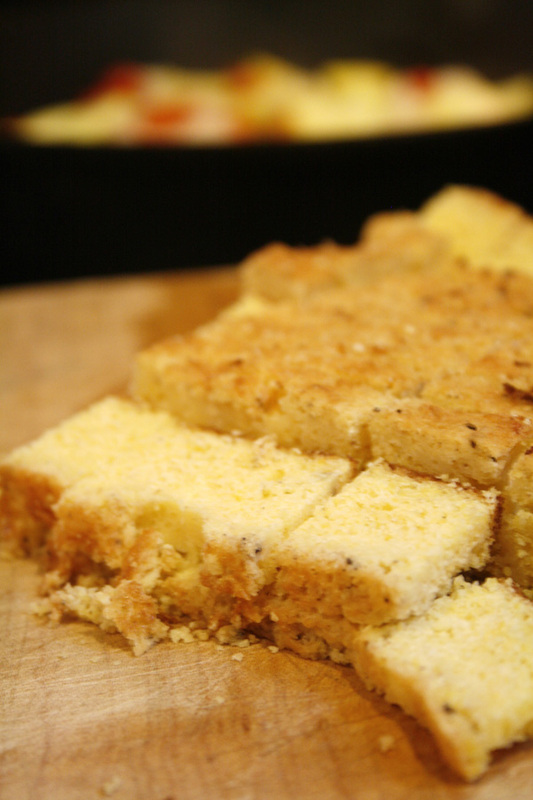 Simply cube up the leftover cornbread. Saute some summer veggies in an iron skillet. Pour a bowl of about 7 eggs mixed with some grated cheese on top. Add the cubed cornbread and bake in the oven at 350 for 20 minutes or until eggs are firm and top is slightly golden. 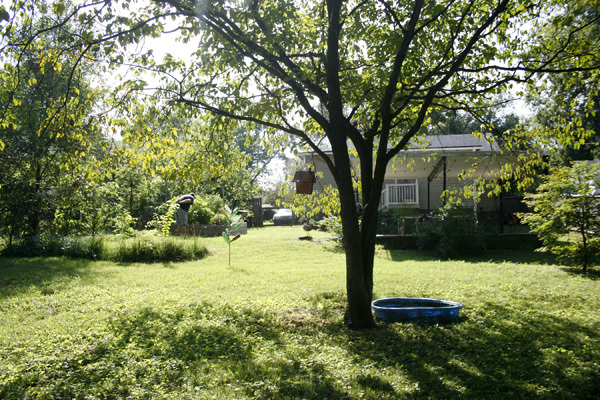 The temperatures have cooled down here in Nashville for a few days so I plan to enjoy my brand new bottle tree from the comfort of our hammock while I dream of all the yummy food to make with the first of the fall harvest to soon arrive!